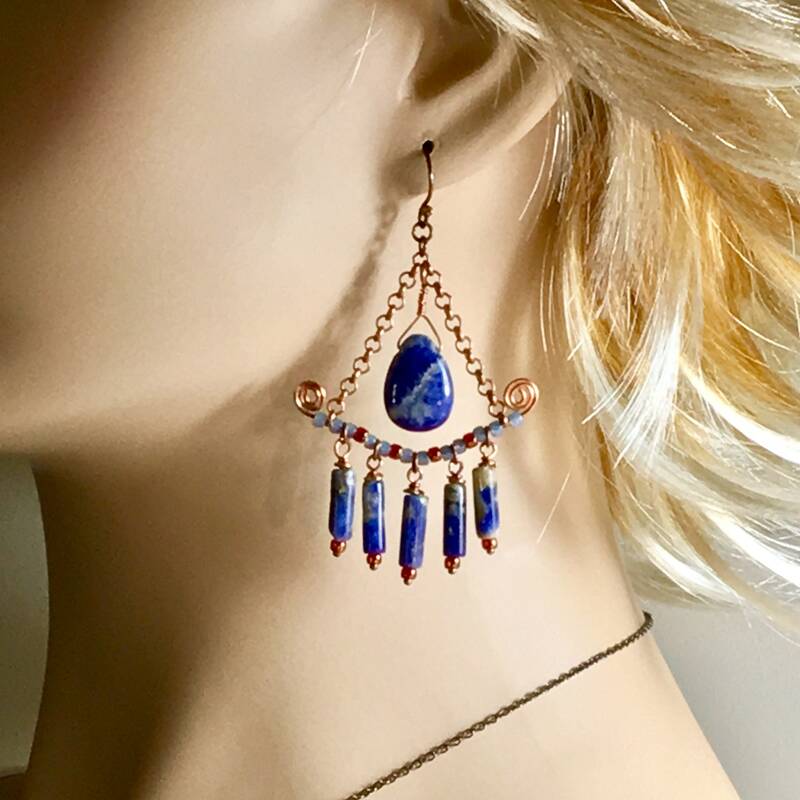 Long, boho and swingy, original chandelier earrings constructed from copper, blue sodalite and Czech glass beads. 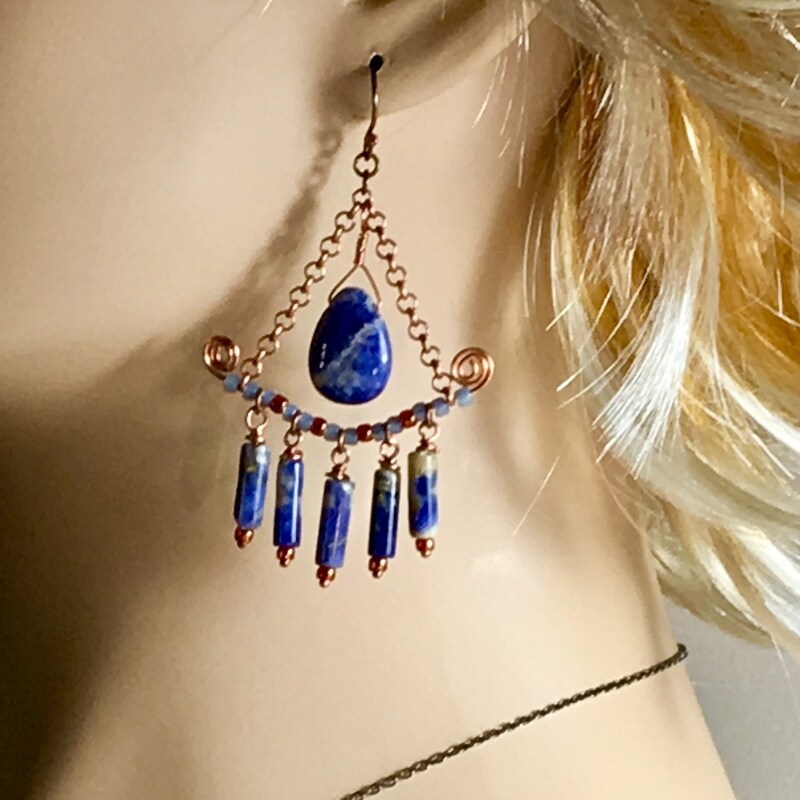 Hand formed of copper wire and chain that creates a triangle shape. 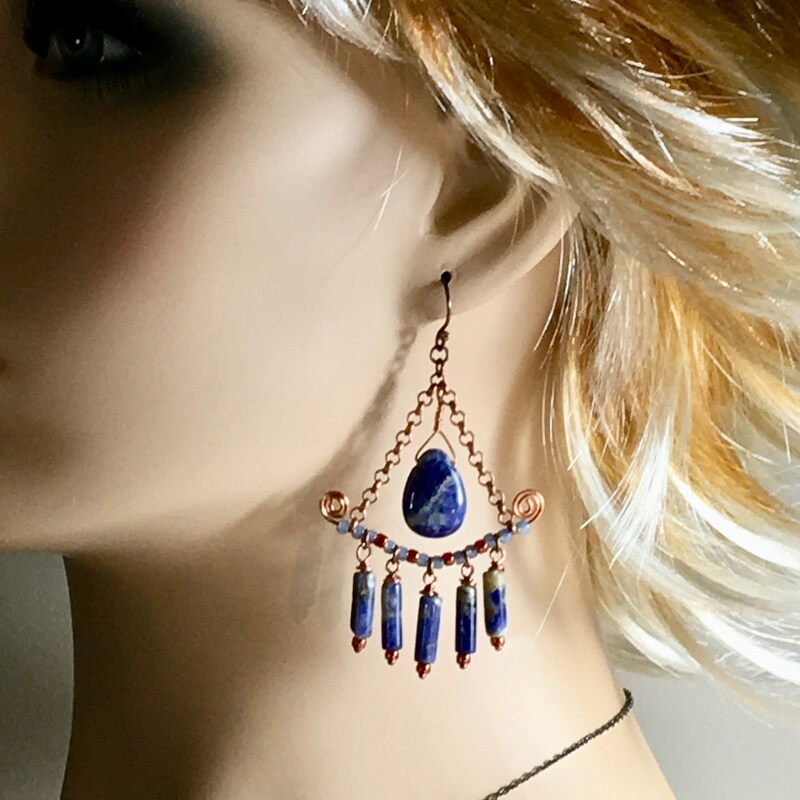 Dangles of wire and beads hang from the bottom of this triangle and a gorgeous sodalite teardrop hangs in the center. 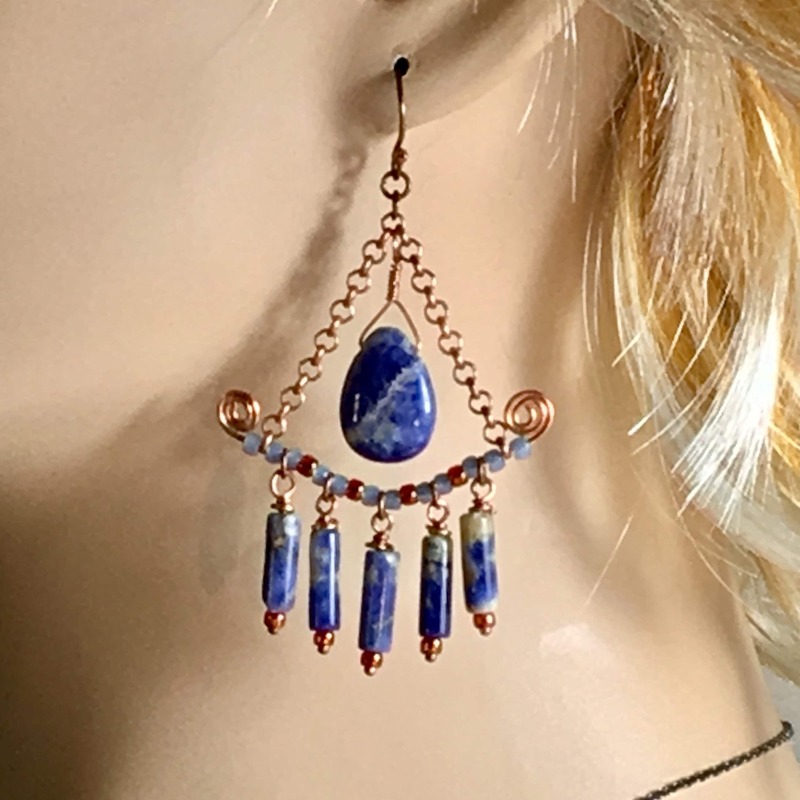 The Czech beads are mix of copper metallic finished and Opalized pale blue. 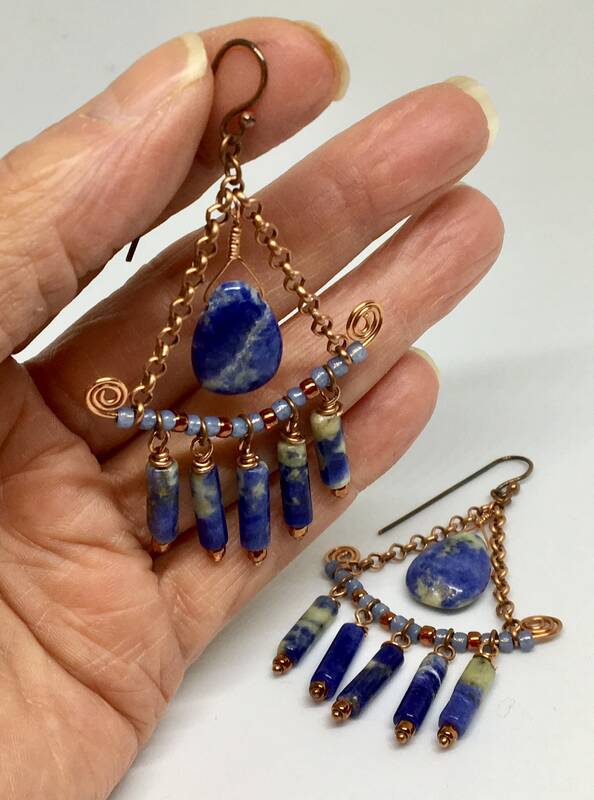 Tube shaped stone beads are naturally variegated cuts of Sodalite-a stone with a wonderful range of blues. 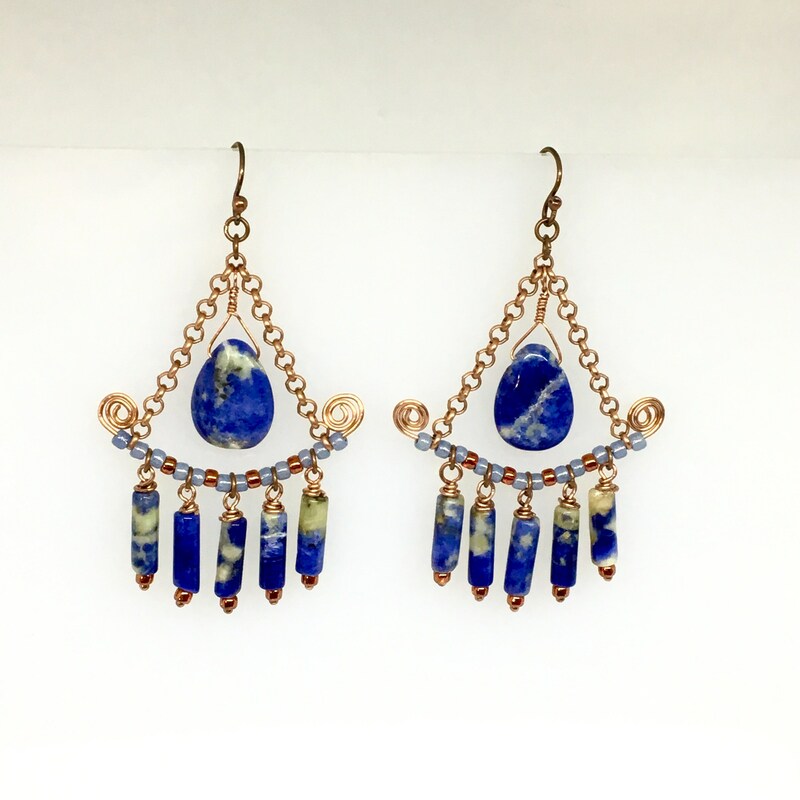 The copper metal & blue stones are perfect together. 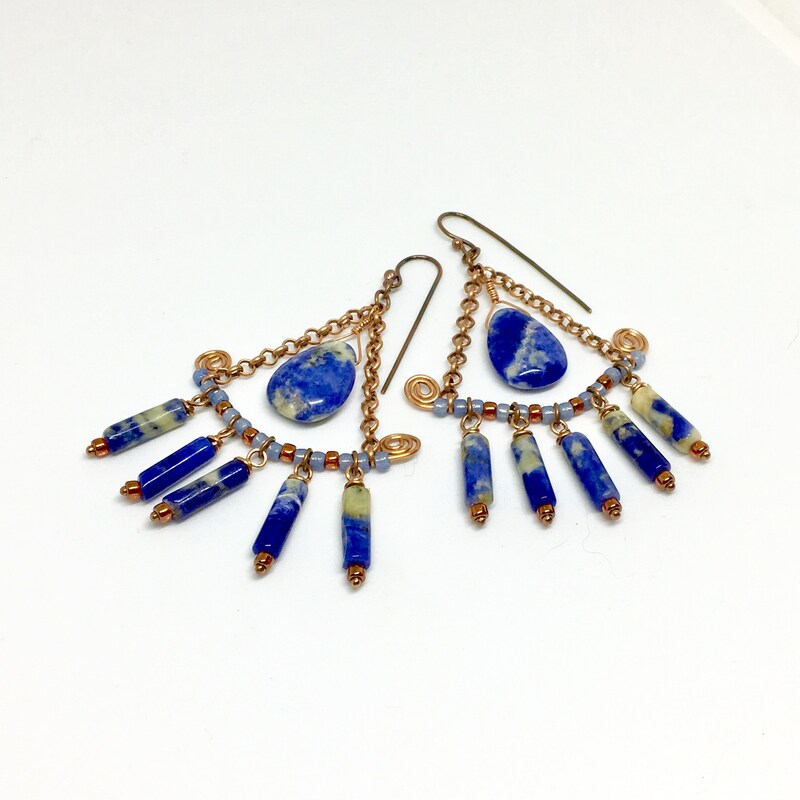 The overall feeling of these earrings is natural and lighthearted. They will cross seasons and work with many different styles. 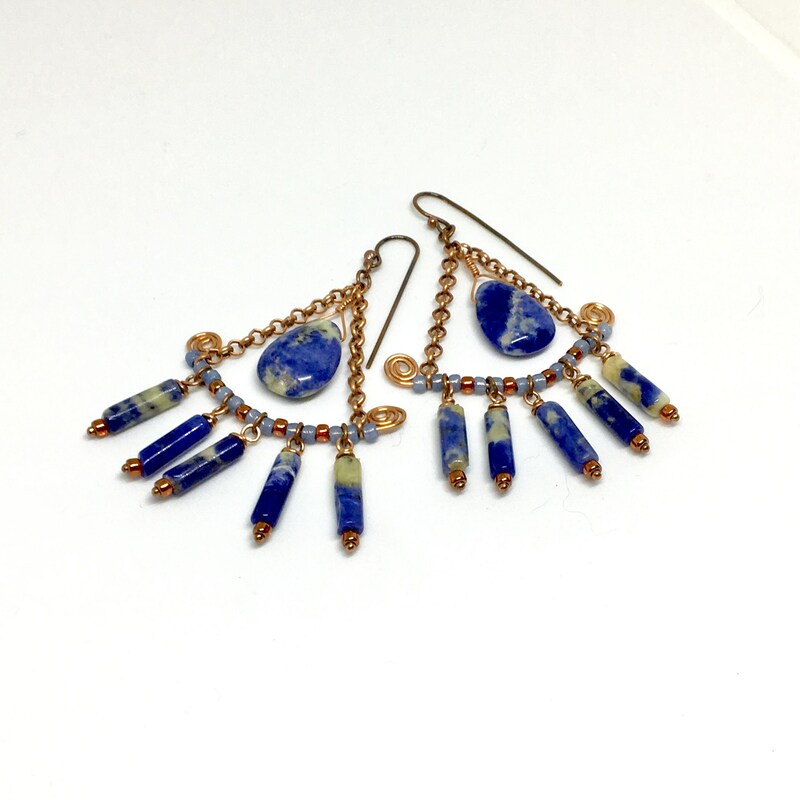 There is natural variation in the sodalite stones. My original design is about 3” long, measured from the top of the ear wire, and are about 1 3/4” wide at the widest. 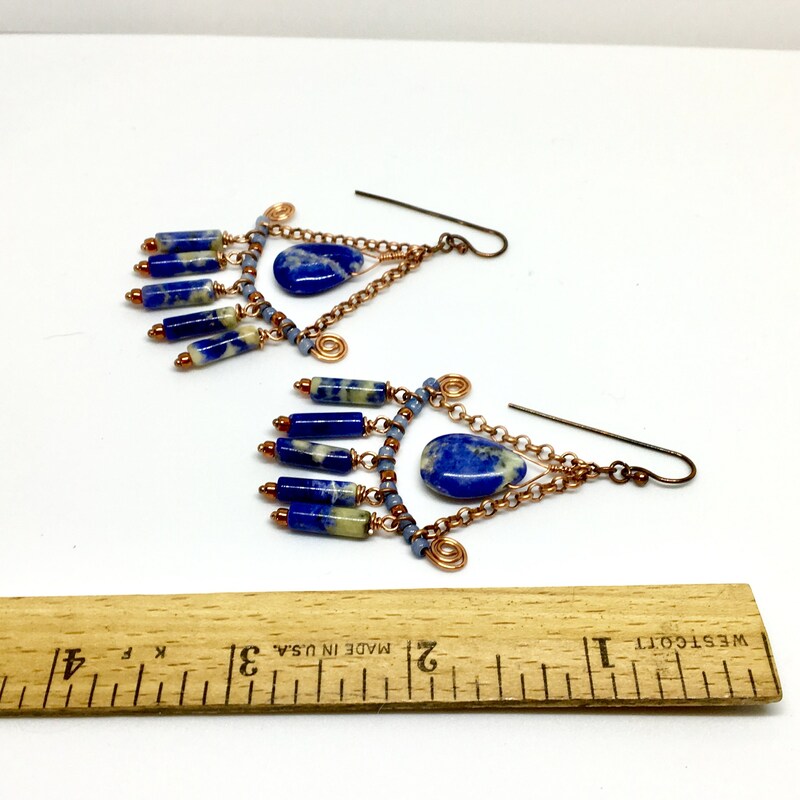 These artisan crafted earrings have a great Boho vibe. 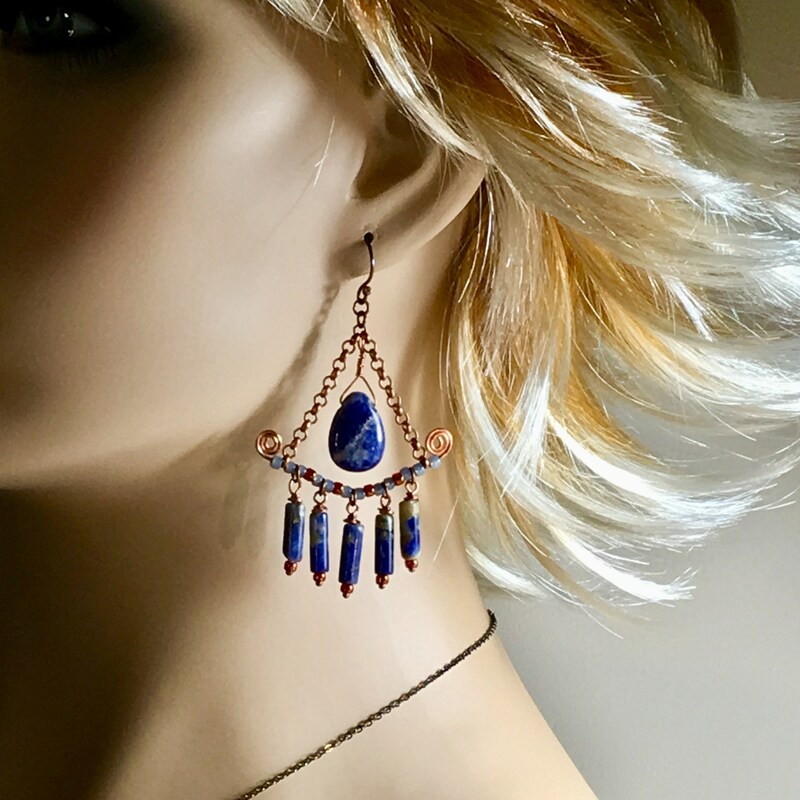 They are easy to wear. Oxidized sterling silver hand made ear wires have been polished and are mailed with small clear silicone clutches, to prevent loss. Lever-back oxidized sterling ear wires are also available-please choose as you checkout.